[At the end of last week, I announced on Facebook that I was going to start a series of weekly blog posts to answer any questions being posed by my Facebook “friends” who were from within Africa and aged between 15 and 25. The question below was the second one to come in. I will leave the first one, on Cessationism, for another week]. ANSWER: Your question is one that I also wrestled with during the first 5 years of my Christian life. It is interesting that it is still doing its rounds—some 30 years later. Evidently, there is nothing new under the sun! I will not be exhaustive in answering your question because I want to limit myself to only a single page. Long blog posts hardly ever get read. So, I will end with suggestions where you can get longer answers. Can a person lose their salvation? The biblical answer is in the negative—No! What you experienced 5 years ago is simply the realisation of a process that began in eternity before God created the world and it will only end in eternity after Jesus Christ returns. The Bible puts it this way: “For those whom he foreknew he also predestined to be conformed to the image of his Son, in order that he might be the firstborn among many brothers. And those whom he predestined he also called, and those whom he called he also justified, and those whom he justified he also glorified” (Romans 8:29-30). We often refer to verse 30 as the golden chain of salvation. The first link is foreknowledge (“those whom he foreknew”). It refers to God setting his affections upon individuals as distinct from everyone else before the world began (see an example of this use in Romans 11:2). This link is hooked into another link, i.e. predestination (“those whom he foreknew he also predestined to be conformed to the image of his Son”). To predestine is to predetermine a destination. And what is the destination that God has predetermined for those whom he set his affections upon in eternity past? It is that they will finally be completely conformed to the image of Christ. When will that happen? The apostle John tells us: “Beloved, we are God’s children now, and what we will be has not yet appeared; but we know that when he appears we shall be like him, because we shall see him as he is” (1 John 3:2). The apostle Paul explains: “And those whom he predestined he also called, and those whom he called he also justified, and those whom he justified he also glorified.” What you have experienced is God’s calling. It happens when the Holy Spirit so convicts you of your sin and shows you the sufficiency of Christ as Saviour that you invariably call upon him to save you. In theology it is called “effectual calling”. It is a call that brings you from death to life and results in you having saving faith, upon which God justifies you. His job is now to bring you to glory so that you can perfectly reflect the virtues of his Son. In that sense, the phrase, “Once saved, always saved,” is biblical. You cannot lose your salvation! However, the weakness of this phrase has been in its historical usage. Many people use this to mean, “If you once walked to the front at the end of an evangelistic meeting and repeated a sinner’s prayer, then it does not matter how you live afterwards you will still get to heaven.” I want to assure you that such an understanding is false and dangerous. It matters how you live. The Bible argues again and again that the life you live after you profess Christianity is what proves whether you are saved or not. 1 John was written so that those who believe in Jesus may know that they have eternal life (1 John 5:13). John’s arguments are along the lines that if you are saved it will show in the way you now live in relation to sin. For instance, John writes, “Little children, let no one deceive you. Whoever practices righteousness is righteous, as he is righteous. Whoever makes a practice of sinning is of the devil, for the devil has been sinning from the beginning. The reason the Son of God appeared was to destroy the works of the devil. No one born of God makes a practice of sinning, for God’s seed abides in him, and he cannot keep on sinning because he has been born of God” (1 John 4:7-9). So, next time someone uses the phrase, “Once saved, always saved,” ask them what they mean. If by saying that, they are saying that God never leaves his work half done. He will persevere in making his children holy—step-by-step—until he brings them to heaven. If that is what they mean then they are right. If they are using it as an excuse to remain wallowing in sin like a pig wallows in mud, then warn them. They have been deceived. God does not only save us from the hell where sin was taking us, but he also saves us from the sin that was taking us to hell. The two must never be separated! 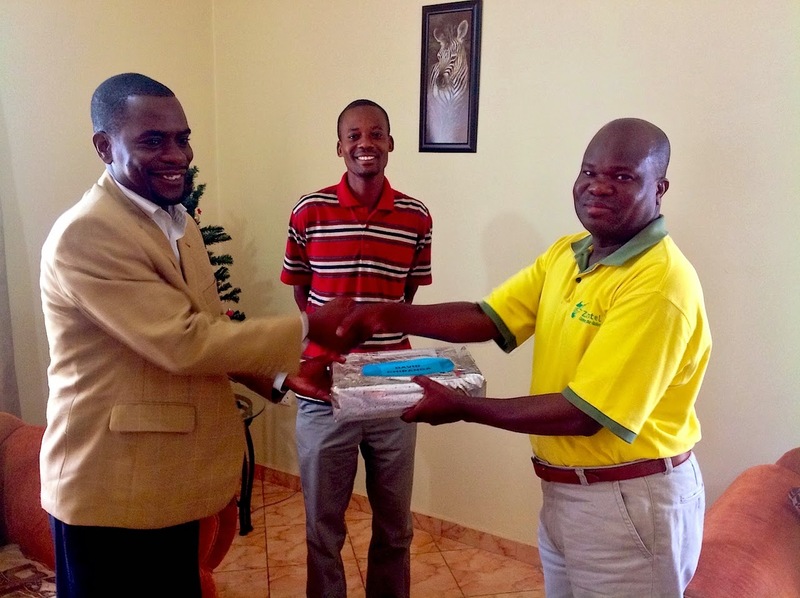 Finally, my pastoral internship at Kabwata Baptist has come to the end. Therefore, with heart full of joy, I would like to update you briefly on how the Lord has used it to make me a better Christian and to prepare me for the Christian ministry. I must confess that sometimes we think we know, not until we are exposed and then we realize that we actually don’t know. Having interacted with mature Christians, with books and having gone through the Bible College, I personally thought I finally arrived and that I was ready for the Christian ministry. Little did I know that I was not yet ready for the Christian ministry, not until going through the pastoral internship and being exposed to many things from the practical viewpoint on how to run the church and generally on the Christian ministry. The internship has therefore helped me to have that practical aspect. It has really been a blessing to go through the pastoral internship and learnt a lot. 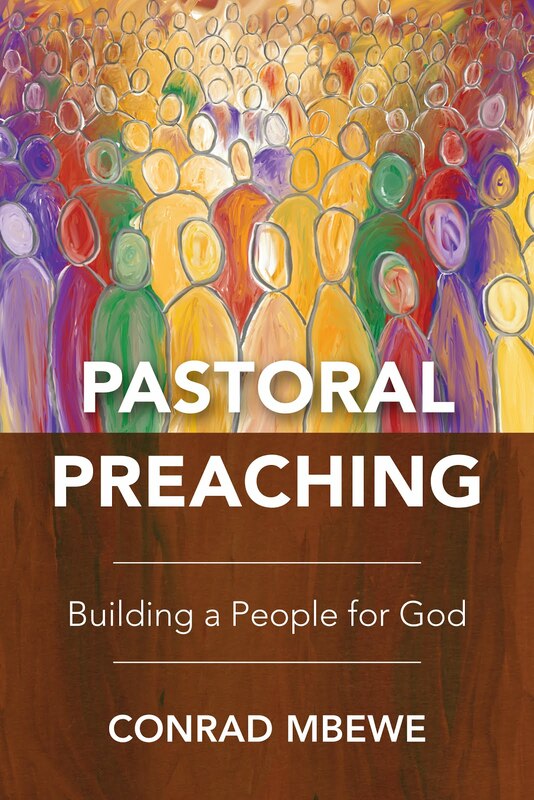 I am not saying that I will not make mistakes here and there in my pastoral ministry, but I can imagine the many mistakes I would have made if I never went through the pastoral internship. To God be the glory! 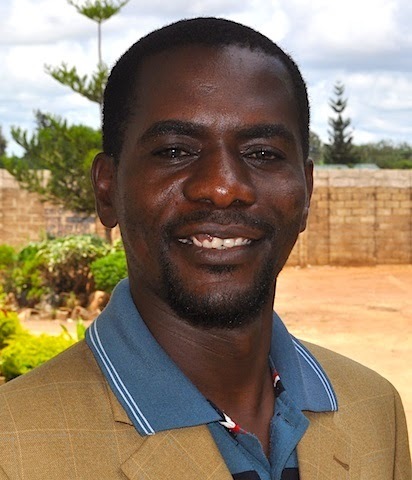 The pastoral internship programme of Kabwata Baptist Church is an experience worth talking about. Let me divide this in four quarters of the year. 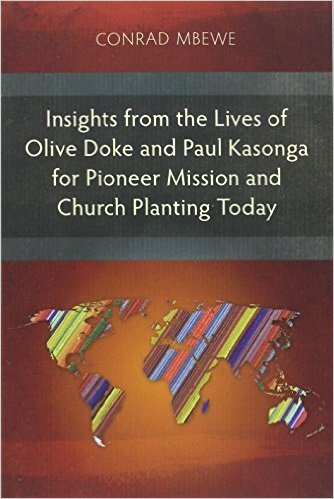 The first quarter gave me an exposure to a practical approach of missions and church ministries. Every beginning of the year, KBC holds a missions conference and missionaries prayer retreat. The Bible came alive to me, especially with respect to the Great Commission. KBC has about fifteen ministries. Through these ministries the church operates seven days a week. I was attached to the Media Ministry, which records sermons and airs them on various radio channels in the country. The second quarter brought another dimension of outreach to me through KBC’s home groups. These groups organised Easter evangelistic programmes and I preached the gospel in these event. Another preaching opportunity during this period came through their Campus Outreach Ministry, which gave me opportunities to preach to students at various campuses. Pointing these students to the saving grace of Christ was an awesome experience. The third quarter brought more evangelistic opportunities through the Public Events Ministry. This was at the Zambia Agricultural and Commercial Show. I had an opportunity to preach and help distribute well over 8,000 pamphlets produced by the Publishing Ministry of KBC. These pamphlets contained tracts with gospel messages. In the last quarter, I was given an exposure to missions. I and another intern went to Sinda in Eastern Province. 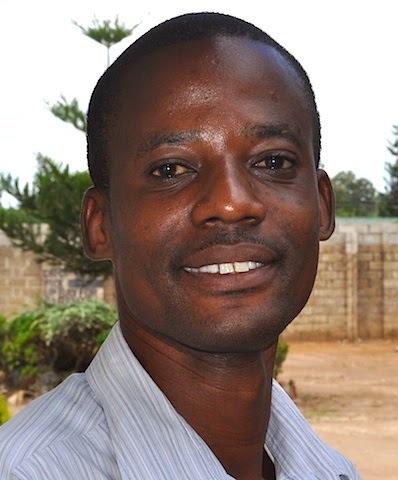 There were two churches—Sinda Reformed and Chitawe Baptist churches. It was a time of learning and teaching. It was an awesome time. Beside all this, there was also the practical interaction with the eldership at KBC. This was another spiritual treat. This internship is a very good programme for anyone wishing to enter full time pastoral work. The pastoral experience is really worth it. News concerning a pastor in South Africa who has made his church members to eat grass has shocked the world. What many people do not know was that a few days prior to this, photos made their rounds on the Internet showing this pastor walking on his flock while they lay on the floor as a way of delivering them. Something has certainly gone awfully wrong. If this absurd situation was unique, I would not be punching away feverishly at my keyboard as I am doing now and even knocking over my cup of tea (sorry dear). 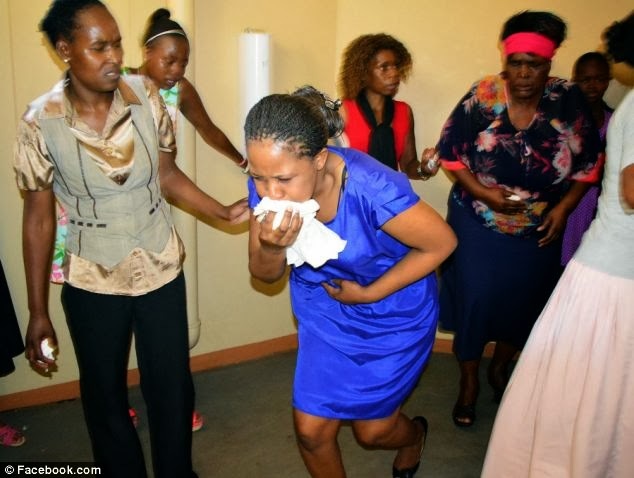 Sadly, these kinds of crazy situations are fast becoming common fare in many Charismatic churches and ministries across the continent of Africa. 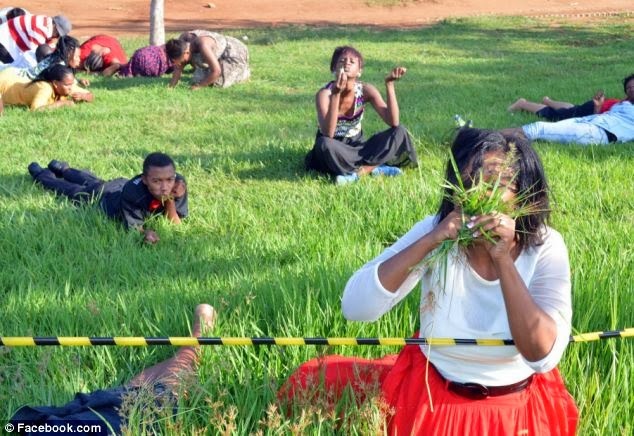 The bizarre antics are getting crazier—until now congregants are being made to eat grass while “the man of God” claims it is being done to God’s glory. I am concerned about this. How can pastors and churches that claim to believe in the Bible and even preach from the Bible go so far from basic biblical practice in their worship? How can even those who have walked off university graduation podiums with powerful qualifications accept “worship” that is reduced to nothing more than a dancing frenzy? How can they knowingly accept being pastored by a “man of God” who is sexually immoral? I have no doubt that what we are seeing here in Africa is the fruit of a century of teaching that says although the Bible is inspired by God it is not sufficient as a tool for instructing believers. We need visions, dreams, prophecies, etc. Having started on that premise and thus unhinging ourselves from “Sola Scriptura”, the trajectory is now reaching alarming levels. The result of this separation between the pastor and biblical exposition is that “the man of God” has taken on an authority that is independent of the voice of God in the Scriptures. He can tell you to do anything under the guise that God has spoken to him about it. Once he has the congregation eating from his hands like that he will soon have them eating grass outside. This was not the position of the Reformers. The Reformers stated unequivocally that the extra ordinary revelatory gifts of the Holy Spirit ceased with the apostles. Thus they secured the church to the Scriptures and to the Scriptures alone. Anything that was not derived from there was heaped together with everything else in the rubbish dump. Period! “…it pleased the Lord to commit His revealed Truth wholly to writing. Therefore the Holy Scriptures are most necessary, those former ways by which God revealed His will unto His people having now ceased.” This is what is historically called the cessationist position. Notice the statement “…those former ways by which God revealed His will unto His people having now ceased.” It was now Scripture alone. Anyone who demanded anything from God’s people that was not written in the Scriptures was not to be listened to. 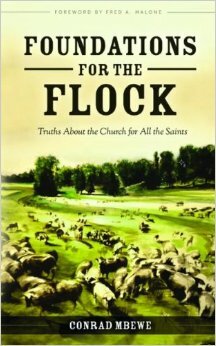 With the advent of the Charismatic movement at the end of the nineteenth century, the evangelical church has buckled on this position and so we are now paying for it dearly and being made to eat grass. Those who allow so-called visions, dreams, and prophecies today say that to avoid tipping off the cliff Christians should test everything against Scripture. That assumes that Christians will be exposed to the Scriptures in the first place. Sadly, the current fascination with “visions, dreams, and prophecies” has killed appetite for serious Bible study. Go to many of those churches that thrive on these fascinations and see if they still have good old Bible studies. Do you honestly think those congregants who were eating grass know their Bibles? No, they spend their time at church dancing themselves into senselessness and then listen to a few verses of Scripture being tortured into confessing the exact opposite of what the Holy Spirit actually meant them to say when he inspired their original authors. It is terrible! While the apostles were alive, such “men of God” would have been exposed for who they really are—heretics—and excommunicated from the church. But today’s so-called apostles are just overgrown boys who have a fascination with and insatiable desire for titles. They are not true apostles and cannot excommunicate a fly. Hence, the heretics claiming visions and dreams are getting away with anything—even making their congregations eat grass. I am afraid that until we plug this hole, our only comfort will be that such bizarre things are not yet happening in our church. But all it will take is a strong personality to come around and start claiming he is seeing visions and dreams and the downward spiral will commence with ever increasing speed until the unwary in your church find themselves…eating grass. Let us get back to “Sola Scriptura” and put an end to this nonsense once and for all. Let us stop being ecclesiastical witchdoctors and get back to the work of expounding Scripture. Why are we ashamed of this when the very reason why the Scriptures were given was so that “the man of God may be complete, equipped for every good work” (2 Timothy 3:17)? If God has completely equipped you through the Scriptures, why would you want anything else? As we read about this week’s Christians eating grass, may we be caused to do more than claiming that we are not doing anything that crazy. Let us examine ourselves to see if we have inadvertently opened a door through which another Lesego Daniel might sneak in and with time bring disrepute to the Lord’s name under the banner of evangelicalism. Believe me, “Sola Scriptura” is the only bolt that totally locks out such self-deluded impostors. “To the law and to the testimony! If they do not speak according to this word, they have no light of dawn” (Isaiah 8:20).